What do you do when you get a unexpected inheritance from a grandmother that she never knew in Ireland . That's what has happened to Teryn Clark . When she realizes the land of the fae lie just beyond the veil. With a brooding neighbour who is more then she realizes . When she finds the land of the fae and falls for the hunky neighbour who is a dragon . Will they find their happily ever after . The characters are sweet and well written. You get to meet fairies and elves and some dark creatures also . Oh and there is a dragon shifter . Yes Aedan is a dragon shifter . He kind a makes me want my own dragon . All the characters in the book are very well written and complex . Teryn and Aedan are such great characters . They are good on their own and really great together . This book is a great read for an afternoon, wrapped up in a quilt with a cup of tea . 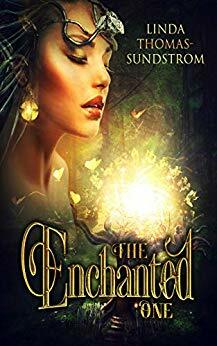 The author paints a magical picture of what the land of the fae would be like . There is adventure , some danger and of course romance . It has all the charms for a great afternoon read . The author takes us on an adventure and I hope that the author makes a series with these characters . So check it out for a great afternoon read . Thanks for the terrific review, Patricia. Yes, there will be a continuation of Teryn's tale, so we can find out what happens to her across the Veil. I do love Dragons.